Banh Mizzle was established in November 2015 run by Khoa Mai who has owned a business since the age of 23. With the support of his wife Michelle and parents Thanh and Mai, they bring to the streets of Perth real authentic flavours of Vietnamese cuisine. Specialising in Vietnamese street food favourites such as banh mi (Vietnamese baguette), fresh rice paper spring rolls and grilled pork noodle salad, they have quickly made their mark on the food truck scene in Perth, even making it on The Urban List as having one of the best banh mi in Perth. 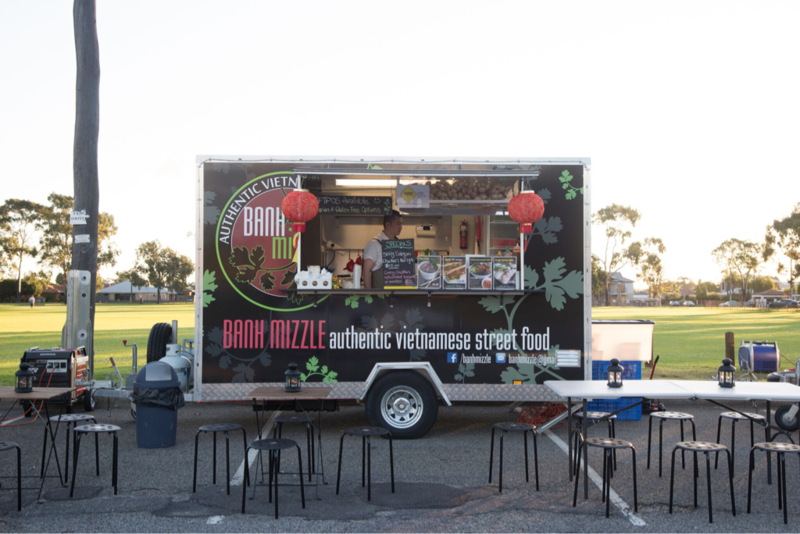 You can find Banh Mizzle trading at several locations around town and also providing their services for private catering, weddings, school events, music events, birthday parties and more. Follow them on Facebook or Instagram to find out where they will be and also contact them for a quote or information for an event.